January 2018 | Building Performance Institute, Inc.
From a completely new, revamped professional website to updated logos and granted awards, it's hard to figure out where to start with a 2017 year in review. But before we dig in, we'd like to start by thanking all of you, our BPI stakeholders, for your input on many changes and your hard work within the home performance industry. Check out this news item to get a month-by-month review of BPI's year! Guest blog post on two of the worst issues that can occur in attics: http://bit.ly/2y3ztYH. Blog post from BPI Technical Relations Representative, Jeremy O’Brien, on roof ventilation: http://bit.ly/2uPenuV. 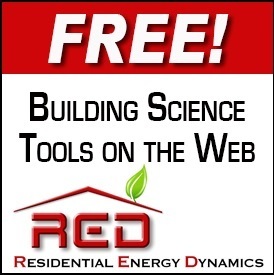 Blog post from BPI’s previous Director of Client Relations, Matt Anderson, on what the R-value of insulation is: http://bit.ly/2jCWuL2. Join the thousands of people and organizations gathering to celebrate #EEDay2017! Spread the word on the benefits of #energyefficiency. Retweet about BPI Proctor, John Mitchell, gives a training to high school sophomores using a blower door and infrared camera. New #BPI Blog Post from BPI’s Senior Communications Associate, @quinnkayy: #TYSK: #Asbestos Use is Still Legal: bit.ly/2qKjB8M. While 2017 was a successful year full of growth and change, 2018 is looking like it could be even more thrilling of a ride! 2018 marks BPI’s 25th year as an operating nonprofit organization! As we begin a new year, we’ve resolved to continue to offer you, our stakeholders, high quality products (certifications, programs, and more) to support your important work. We also have some surprises in store for you that we can’t wait to share (hint: one is an updated account system that is mobile-friendly!). We are excited about what is to come in 2018. On December 13th, BPI Client Relations held a webinar with over 70 Test Centers and Proctors and provided updates and reminders. Miss the webinar? Look for the recorded version in your Test Center Account. BPI has sent out invoices for BPI GoldStar Contractors. If you have not received your invoice, please email goldstar@bpi.org or call us at 1-877-274-1274. The 2017 GoldStar Contractor webinars have been converted to online courses and are made available free to Test Centers and Proctors. These courses are located in the Test Center and Proctor Accounts and have been pre-approved for continuing education credits (CEUs). Last call for Healthy Home Evaluator (HHE) Train-the-Trainer – Deadline today (1/10/18)! This is the only HHE Train-the-Trainer session scheduled for 2018! BPI stakeholders show commitment to excellence in many ways. The FacesofEE campaign, coordinated by the nonprofit E4TheFuture, honors home performance pros who help advance our industry. To date, over 150 BPI Certified Professionals have participated in the campaign. Such leadership can boost smart energy efficiency policy while helping to gain visibility for your business. Want to be a “Face of EE?” Just agree to provide your face and a few words about why energy efficiency matters to you. Count Me In offers a “DIY” photo guide. Visit “Faces of EE” to learn more. Don't miss out on upcoming Home Performance Coalition (HPC) conferences in New York and Philadelphia! The registration and agenda is available for HPC New York in Saratoga Springs, NY on February 13-14, 2018 and registration is open for HPC National in Philadelphia, PA on April 23-26, 2018. Does snow quickly melt off of your roof in some areas and not in others? If you answered yes, your home could be suffering from inadequate air sealing and insulation. Learn more about the warning signs and what you can do about it (hint: an #energyaudit with a BPI Certified Professional is a great start!) in #BPI's latest blog post from guest poster, Frank Lee, of the City of Baltimore's Office of Sustainable Energy: http://bit.ly/2C7Ssm7. Staying warm at home is a top priority during the frigid winter months, but with heating comes safety concerns. Whether you use gas, oil, or electric heat, you could be at risk for a variety of hazards, such as gas leaks, fire hazards, and more. Be sure to follow these 5 tips from guest poster, Cristina Miguélez, of FIXR.COM, to keep yourself and your family safe at home this holiday season and beyond: http://bit.ly/2BvHWpU. Bomb cyclones, blizzards, and sub-arctic temperatures make us want to close ourselves up indoors for the season. But, are you safeguarded against hazards like #carbonmonoxide in your buttoned up home? Even building code advocate and long-term residential #energyefficiency professional, Jay Murdoch, was not immune to #COpoisoning when he had a run-in with the toxic gas on a family vacation to Ireland. Check out his story and read how you can protect yourself and your family going forward: http://bit.ly/2qs8XZy. 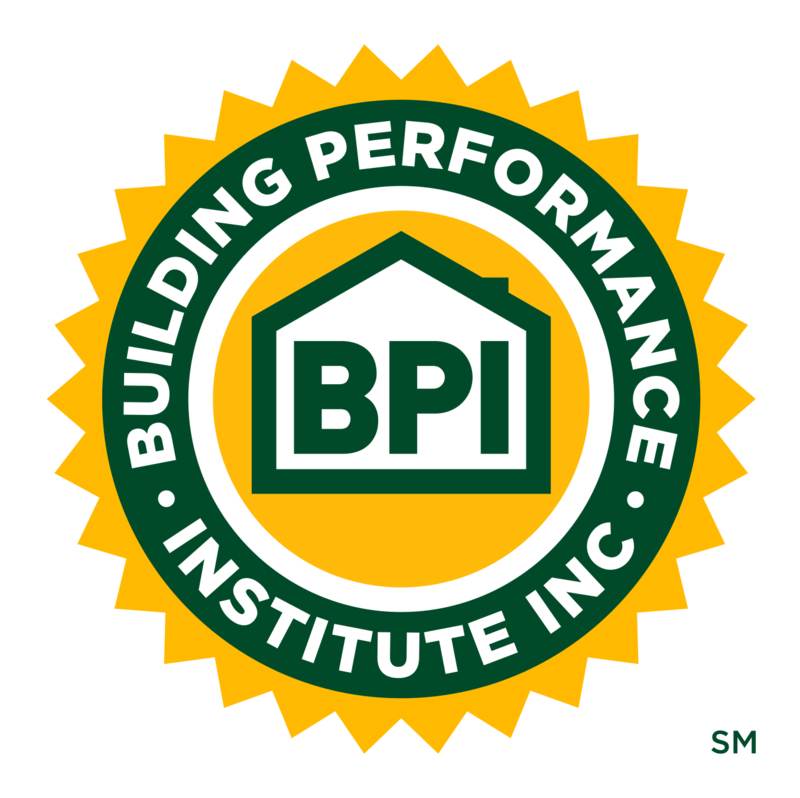 Quarterly, BPI will feature a manufacturer and product from its Product Listing, which highlights tools, products, and materials that meet industry standards for diagnostic evaluation and installation of energy upgrades to the home. The SENSIT® GOLD EXCO+1200 by SENSIT Technologies, LLC (USA) is a portable gas detector that meets the BPI 1200 standard for residential energy audits and inspection of combustion appliances and fuel distribution systems. As an investigative tool, SENSIT® GOLD LEL sensor is designed to find the source of combustible gas leaks fast. SENSIT® GOLD EXCO+1200 Displays up to 4 gases (Combustibles LEL, Oxygen, Carbon Monoxide, and Air Free CO Readings (CF)) and is easy to use and maintain. Check out the SENSIT product website for even more information. We had a pretty solid number of responses to last month's stumper. Many were close but only one could be closest! As a reminder, a homeowner of a new home (constructed less than a year ago), smelled natural gas in his home only when a blower door test was running at 50 Pa. The test was stopped and the smell dissipated. What's happening here? The best response came in from Don Hynek, BPI Multifamily Building Analyst and Quality Control Inspector at the Wisconsin Division of Energy, Housing and Community Resources in Madison, WI. Don accurately guessed: "There’s a plumbing defect. A plumbing waste line or sewer vent stack is behind the drywall that is improperly installed. Under ambient, the sewer gas in the waste plumbing doesn’t move much. When the house is depressurized, sewer gas (which is mostly methane, and will trigger a gas leak detector) is pulled into the living space. One option is an actual waste line, where a fixture was intended to be installed, but never was. More likely is that there is a vent stack tucked in the wall that was supposed to be plumbed on up into the attic and then to daylight, that was not completed. Regardless, there is now a dry waste line sitting there uncapped. Anyone that’s ever mistakenly started a blower door test in a house with a dry waste trap will recognize the odor. It’s much like the mercaptan added to supplied natural gas for safety reasons – pure methane is odorless." Can You Figure Out January's Stumper? This month's stumper involves every contractor's favorite part of a house: the crawl space. A knowledgeable industry professional was doing a crawl space encapsulation. When he did his initial inspection, the entire space was dry. But when he went to start work on the space, he found that the right side, in the back corner, was full of water. It was raining pretty hard outside and had been all night. "With standing water in the crawl space, I couldn't begin work. You never want to encapsulate a crawl space if there's a bulk water problem because water under the plastic will find ways to get on top of the plastic. It's meant as a vapor barrier, not a liquid barrier. Ideally, you get rid of the water by stopping it from coming into the crawl space. If you can't do that, you need a drainage system and perhaps a sump pump to handle it. So, we started searching for the source of the crawl space water. My first target was the outside of the foundation wall right there where I discovered the water. It was on the right side of the house. I went outside, dug down into the dirt there, and found that it was dry. The water definitely was not coming through there. Where the heck was it coming from?"